· Assad released militants from prison in 2011 so that they would overwhelm secular moderates. · Proof of this is that the Syrian Army does not attack ISIL targets. · Assad has a close history with militants – he sent hundreds over the border into Iraq to join the insurgency against US forces and is now suffering blowback. But as a global confrontation with ISIL mounts, an entirely different picture has begun to emerge. The US-led coalition’s five Arab Sunni partners are providing little less than fig-leaf cover for airstrike operations. NATO has been unable to wrest – to date – a commitment from Turkey to enforce serious border security to stop militants from crossing over into Iraq and Syria. In recent weeks, western media has unleashed a flurry of articles pointing to Qatar’s role in funding extremists. Clearly, America’s Sunni Arab and Turkish allies are approaching the ‘ISIL Project’ with something less than enthusiasm. He, of course, failed to mention Washington’s own arming, training and funding activities coordinated with these very same allies. Predictably, Biden was forced to ‘apologize’ for his undiplomatic comments over the weekend. Has the Syrian government exploited extremism while at the same time fighting a three-year nationwide military campaign to thwart it? Perhaps. Politics are opportunistic by nature. The Syrian MB regroups for a “new round of fighting” in late 1980, announces the formation of an ‘Islamic Front’ and increases cooperation with the Sunni (Baathist) government of Iraq which had helped the MB covertly in 1979-80 to oust Assad. 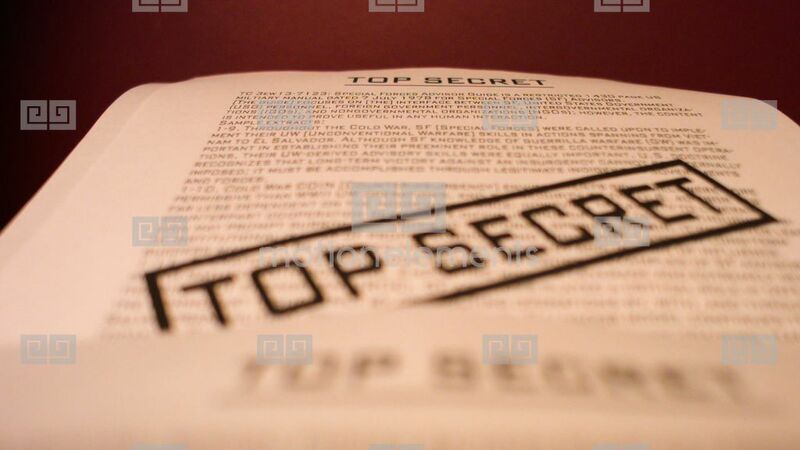 On February 24, 2010, a Cable classified as ‘Secret’ was dispatched from the US Embassy in Damascus to the CIA, DIA, National Security Council, Joint Chiefs of Staff, Office of Homeland Security and a smattering of key US embassies in the Middle East and Europe. It details the communications between Syria’s General Intelligence Director (GID) Ali Mamlouk who dropped in on a meeting between Syria’s Vice Foreign Minister Faisal al-Miqdad and a US delegation, headed by State Department Coordinator for Counterterrorism Daniel Benjamin. The participants discuss possible future security and intelligence cooperation on issues related to terrorism, particularly on the Syria-Iraq border. What is notable about this US-framed communiqué is that the American delegation does not take any of the Syrian officials in the room to task for ‘encouraging and coordinating’ the passage of extremist fighters from Syria into Iraq to participate in an insurgency against US forces. This accusation has become a key narrative advanced by Washington in recent years, so why not challenge the Syrians face-to-face when the opportunity is there? The tactics described by Mamlouk explain, in part, why Syrian forces today do not typically launch assaults on terrorist groups unless there is an immediate and direct threat to its military strategy of maintaining control over key areas and disrupting rebel supply lines. While groups like ISIL are viewed as a security threat, they have not always posed an imminent one. For the better part of the Syrian conflict, ISIL has not controlled the “priority zones” of the Syrian Army. Those areas have always been Damascus, Aleppo, Homs, Hama and their surrounding countryside (Rif), with Quseir and Qalamoun, Daraa, Tal Kalakh and other border towns playing an important role. When ISIL fighters have been present in those areas, the Syrian Army has fought them – as in Qalamoun and the Damascus suburbs. Nevertheless, the Syrian air force did take immediate action when ISIL escalated in Mosul in June, which changed the geopolitical dynamic well beyond the Syrian-Iraqi border. Kerry is misleading when he suggests that Assad will not strike ISIL headquarters: this is about timing and gain from both a military and political perspective – not necessarily a response that trigger-happy Americans can understand. As for accusations that the Syrians have released militants from their prisons to ‘populate’ ideologically extremist rebel groups that will make Assad look like an angel… You can’t have it both ways – political prisoner releases were initiated to defuse conflict and demonstrate leniency. Were some of these prisoners ‘extremists’ of the variety that man Islamist rebel groups? Almost certainly. But that was the Sunni constituency that the Syrian government was also trying to placate in the early days. Even today, after grueling ‘reconciliation’ negotiations, the Syrian government is allowing these very rebels to ‘go free’ after they lay down their arms – this, according to volunteers involved in negotiations from Homs to Rif Damascus. What is to stop these same ‘reformed rebels’ from hopping over to al-Raqqa and taking up bigger arms? Should the Syrian government kill them instead? How does one win in a situation like this? Critics of Syria’s prisoner releases should be reminded of the Big One carried out by the Americans in 2009 when they allegedly freed future ISIL ‘Caliph’ Abu Bakr al-Baghdadi from an Iraqi prison. Does anyone have the right to point fingers after that monumental gaff? The fact is – from Saudi Arabia to Qatar, from Turkey to the United States, from Iraq to France – there appears to be plenty of complicity in fueling ISIL and the jihadi phenomenon. Is Syria complicit too? It depends who is asking – and why. This article was first published in Russia Today on October 7, 2014 and can be read in Turkish here. Follow the author on Twitter and Facebook. it still irks me a lot when the west continue its narrative as you mentioned in your analysis of a sunni-shia clash in Syria implying that a minority,alawi,is governing a majority,sunnis.I lost count of the numbers of times I have been to Syria prior to 2011,I lived there briefly in the seventies,my daughter studied at Damascus university in the summer of 2010 and from the (little )I know the core of the syrian state and elite who govern the country are sunnis.One could say that the power structure reflect more or less the demographic balance of the country.I always thought of president Assad as the real son of the sunni bourgeoisie in Syria.Maybe you could one day debunk all these lying ?and deconstruct all this imaginary sunni shia divide as the shia in the country are a small minority .All this war is for geopolitical gains,Anglozionist against our Axis of Resistance.